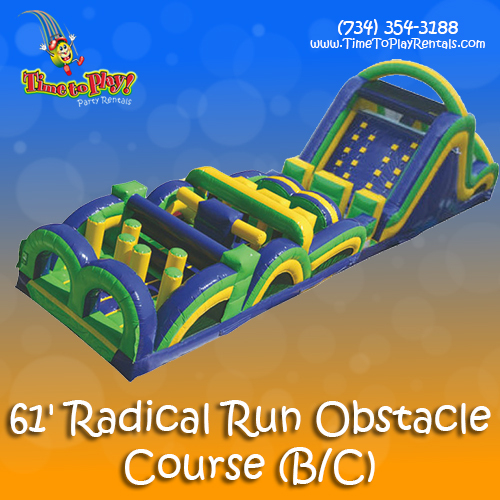 Combine a challenging obstacle course with an amazing 16’ slide for a "radical” time! Jam packed with several amazing obstacles, our 61’ Radical Run Course is always a crowd-pleaser! Race over, around and through the barriers, climb the 16’ slide and descend to the finish line! This obstacle course is challenging for people of all ages and is a great choice for large social events! Combine this course/slide with other interactives and rides for a full-scale carnival!